For decades, Chicago Mailing Tube has provided people with reliable service and even more reliable products. We take pride in how rigorous our quality-control tests are. That's because we understand how important your shipment's safety is to you. In addition to offering sturdy 3.000" x 18" self-locking, crimped-end cardboard kraft tubes, these shipping tubes are also affordable and customizable. If the 3.000" x 18" cardboard kraft tube isn't the exact size you're looking for, no worries. 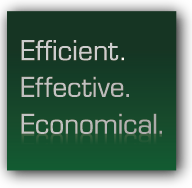 Our team can create an order that matches your exact specifications. 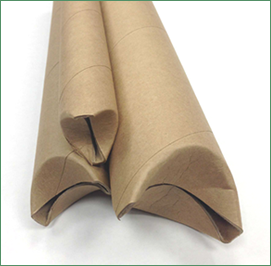 Our 3.000" x 18" cardboard kraft tubes feature crimped ends, which make them self-locking and very secure. Your shipment will arrive safe and sound, whether you ship with UPS, FedEx, or USPS. With Chicago Mailing Tube, your posters, blueprints, papers, textiles, and beyond will be shipped in pristine condition. Why hesitate? You can receive a quote on what your order of 3.000" x 18" self-locking, crimped-end cardboard kraft tubes would cost. There's no minimum order required. Plus, we offer 24-hour shipping! Fill out our contact form for more information. If you have any questions, feel free to call (312) 243-6050. 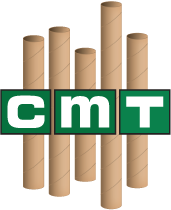 CMT's heavy-duty kraft tubes with self-locking ends are perfect when sturdiness is required. They are great for shipping with UPS, FedEx and USPS. Uses include shipping, hardware, drapery rods, antennas, track lighting kits, metal rods and more. Crimped ends secure tightly to protect all contents.